Homemade Jam! 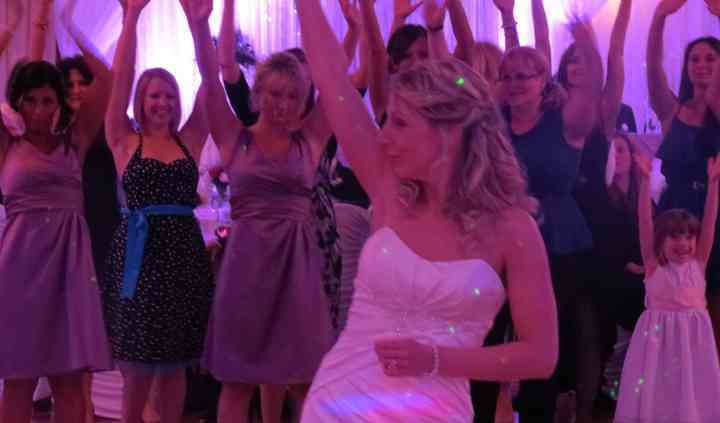 DJ is a Peterborough-based company led by Gerri and Terry Humphries, a multi-award winning husband-and-wife team with a wealth of experience in the wedding entertainment business. 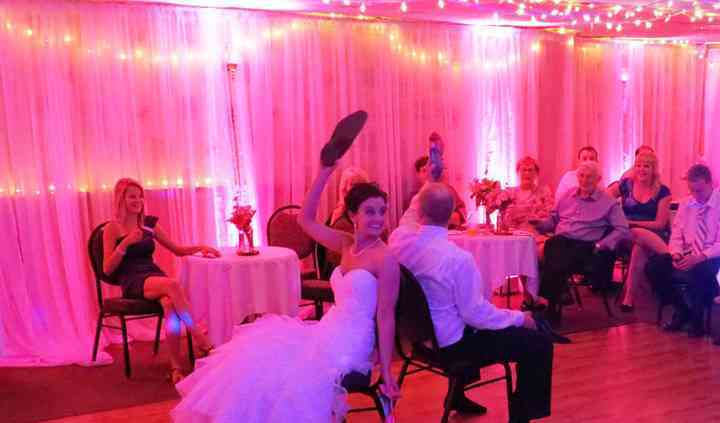 If you are a couple looking for a lovely, stylish, fun and stress-free reception, hire Homemade Jam! DJs to help you with the entire planning process. They have more than two decades of experience in the business, offering an impeccable level of service to hundreds of couples, by creating weddings with many happy memories. In order to make your big day absolutely fabulous, Terry is a certified wedding planner and Gerri is a licensed wedding officiant who will work together combining their vast experience and knowledge for an unforgettable ceremony and excellent day-of-coordination for your special day. Different décor and photo booth services can also be arranged. I first saw homemade Jam at my prom in High School and they were amazing, so when I was looking for a DJ for my wedding, naturally they were the first people I thought of. Terry & Gerri were ... Read more everything I could have wanted and more. They did the sounds at our wedding and reception, DJ, Photobooth and draping. We were married outside and the sound was great, everyone could hear perfectly and the music before and during the ceremony music was exactly what we wanted. We had our reception in a tarp/coverall building and Terry and & Gerri put up draping, lights and uplighting and made it look like a whole new building. There were more than accommodating with some last minute changes with the decor. They worked long hours just to make sure everything was perfect on our wedding day. Everyone at the wedding loved the photobooth and still talk about how much fun it was. Terry and Gerri sat down with us an went over all the music for the day from the song that I walked down the aisle to the last dance of the night which was very helpful and took a lot of the pressure of us. They had a planner book and lists of popular songs for each part of the day. The dance floor was full all night and the music sound and choices were just what our crowd wanted! Overall both my husband and I would 100% recommend Homemade Jam for any event that you may have! We hired Terry and Gerri for our wedding last month and could not have been happier! Regarding the DJ services, Gerri was FANTASTIC. I have never seen so many people on the dance floor at a wedding. ... Read more He knew just what to play to keep the guests dancing all night, and the next fews days several people commented on how great the music was. The volume of music was perfect during dinner, and ramped up afterward. Terry was very helpful in keeping everything on track, and working with our MC to announce important things. She had some great suggestions ahead of the wedding that we would have never thought of! She also designed a beautiful graphic for our photobooth print outs. The photobooth was a HUGE hit. Thank you both for your help in making our day run perfectly!! Terry and Gerri are so easy to work with and very professional. They get to know you and your family to make your day perfect. They have so much experience that I felt very comfortable leaving our day ... Read more in their handa. 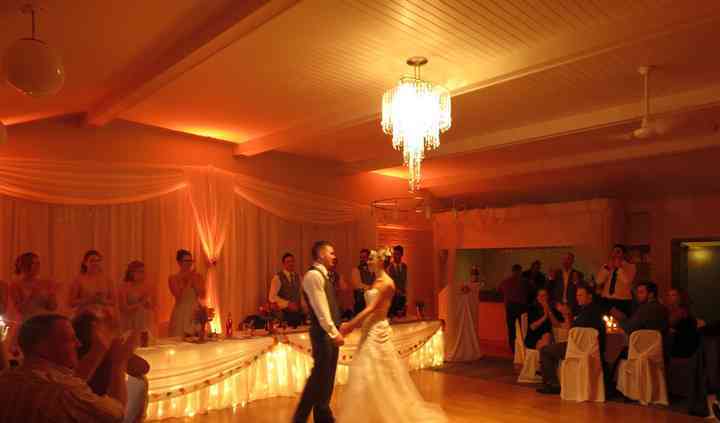 The decor, dj and officiant was perfect. They accomodate changes to the itinerary on the day of if need be and are very flexible. My husband, family and I were so very pleased to have them part of our special day!! Thank you!! Terry and Gerri were amazing! They really have weddings down to a science. They were very thorough with the music selection for the whole day and you can tell that they have lots of experience. They ... Read more may be more expensive than other DJs but definitely are worth it. They had so many people dancing from the get go and the dance floor was busy all night. Terry really does help make the day go by smoothly and came to check that everything was ok (the volume of the music during dinner, etc.). We really liked how we had a 2 hour phone conversation and went through every step of the day with them. They had awesome ideas such as a conga line to get everyone dancing again after the bouquet/garter toss - we had 40 people easily in a line it was amazing! 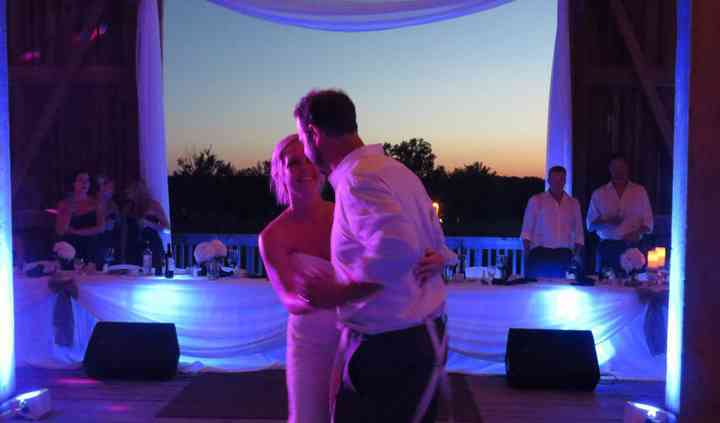 They will help with things that are not necessarily DJ related since they have a lot of experience with weddings. They gave us a lot of tips and helped us go in the right direction even with some of our other vendors. We did notice while we met them the first and second time that they do promote quite a bit some of the other things they offer such as the photo booth or lighting or backdrops. We ended up just going with their regular package with ceremony music as well which was definitely worth it for our outdoor wedding. We highly recommend these two!! We had the pleasure of working Gerri and Terry leading up to and including this past weekend on June 2, 2018 when they DJ’d our wedding! Gerri also was our officiant! His presence as an officiant was ... Read more warm and calm and reassuring and he did a fantastic job delivering a ceremony that was short, sweet, and tasteful! The entire night I was approached by guests telling us how great the music was! This became even more apparent later when the dance party was bumping, and guests didn’t want to leave! We also rented their photo booth which Terry operated with ease and perfection and everyone had a blast! We left the following morning with a beautifully put together book of copies of the photos take. As well as a USB of recorded video clips from ours guests! We had a fantastic time at our wedding due hugely in part to Home Jams and would easily recommend them to anyone looking for DJs, photo booths and officiants!